This trendy headboard is accented with a row of decorative nail buttons along the silhouette. 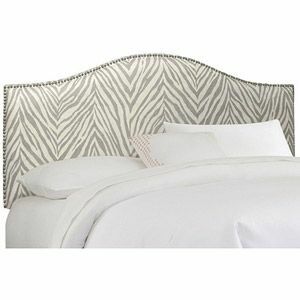 The curvaceous design is guaranteed to make this headboard a showpiece to any bedroom. It conveniently attaches to any standard bed frame.